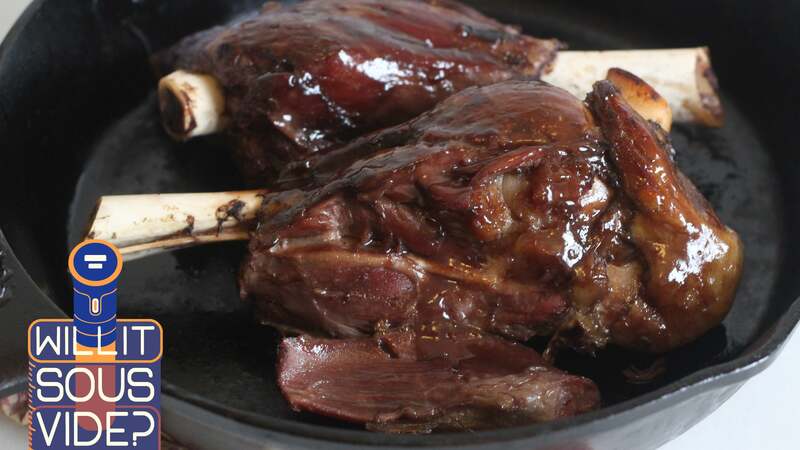 Like many cuts with a lot of connective tissue, the lower portion of a lamb’s leg does a lot of work in its life, which is why it needs a very low, very slow cooking situation. The cook time is a whole 24 hours, but you’ll only need to invest about 15 minutes of active time, and four ingredients from your kitchen. 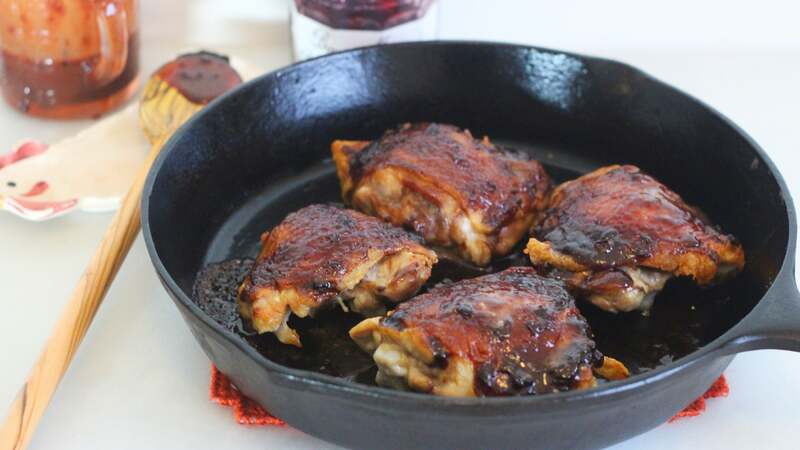 Besides salt and lamb, you’ll just need mustard and jam, which you will combine lovingly with the bag juices — sorry, I don’t know what else to call them — to make a sweet and tart glaze. 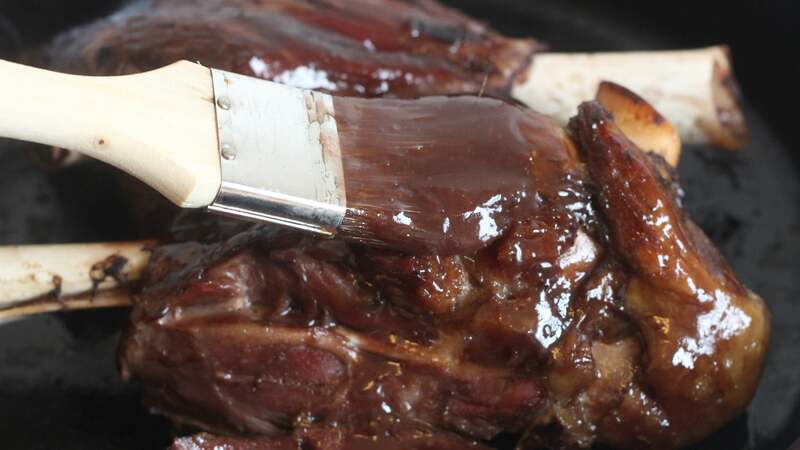 If you aren’t familiar with cooking tougher cuts this way, you will be shocked at just how tender the meat is, and just how easily it comes off the bone. Honestly, I’ve done a lot of sous vide meat cooking, and even I was taken aback. Liberally season every side of each shank with sea salt — it should be coated, but not caked — and place them in a vacuum, sous vide or double freezer bag (just set one freezer bag inside another). Seal with a vacuum sealer or express the excess air using the water-immersion technique, then let the shanks hang out in the bath at 76.7C for 24 hours. Once the cooking time has elapsed, remove the bag from the bath, set the shanks in an oven-safe dish, and pour the juices through a sieve into a sauce pan, along with the jam and mustard. Whisk to combine, then heat over medium-high heat until simmering. Let reduce until it’s thick enough to coat the back of a spoon, then brush it over the lamb. Pop the lamb under the broiler for a few minutes, until the glaze starts to bubble and caramelise, then brush it with even more glaze. Serve with the rest of your feast, resisting the urge to eat it, bone in hand, while standing over the sink like a very refined lady (which is what I did, because living alone has its perks). why not cook the lamb in the jam and mustard?